Facebook is constantly fine-tuning and innovating their ad platform to better serve auto dealers. Facebook Canvas ads are a prime example of exactly that. Think of Canvas ads as a microsite between Facebook and your full website. Using plenty of rich media you’ll have the ability to build awareness, showcase inventory and qualify customers before pointing them to the dealership website to convert. If you’re interested in testing Canvas ads. It’s important to get the creative right and take a different approach than you would with a traditional Facebook ad. The most important piece of your creative is the first step. The user must be directed to click a small drop down arrow to enter the Canvas experience. Once the canvas is expanded, the creative must be compelling. The goal is to take the user on an interactive journey that eventually ends with a website visit. In the example above Jeep focuses on key vehicle features using cinemagraphs, photos and videos before giving the user CTA options that drive traffic to the website. 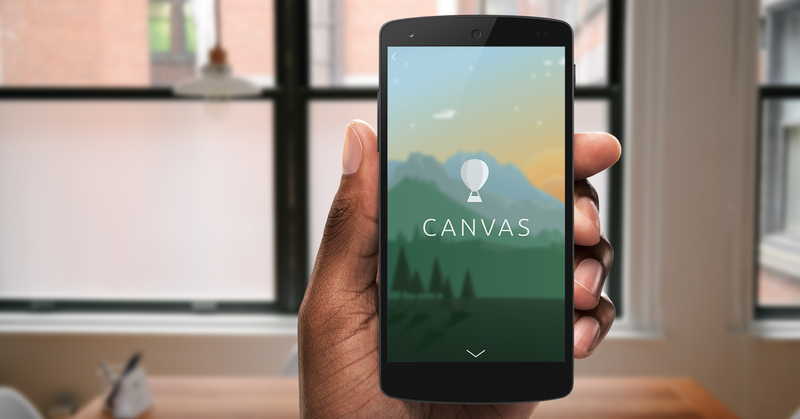 The ideal Canvas experience should be between 15-30 seconds. If you’d like to test Facebook’s exciting new creative ad type with new or existing campaigns, send an email to ian.mcdougald@edealer.ca or call 226-208-2506 and we’ll help you paint a beautiful picture with Facebook Canvas.